Templeton student achieves perfect score on ACT - Hamilton School District. 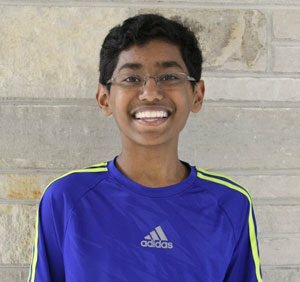 Shiva Senthil’s perfect score on the ACT college admission test is exceptional for a high school student, but even more so because Senthil is only an eighth-grader. The Templeton Middle School student was notified that he achieved a perfect composite score of 36 on the test he took this year. His performance was higher than 99.9 percent of students who took the college admissions exam. It is the first time that a middle school student has achieved a perfect score on the ACT in the district’s history. The ACT consists of tests in English, mathematics, reading and science. Each test is scored on a scale of 1–36, and a student’s composite score is the average of the four test scores. On average, less than one-tenth of 1 percent of all test-takers earns the top score. Some students also take the optional ACT writing test, but the score for that test is reported separately and is not included within the ACT Composite score.